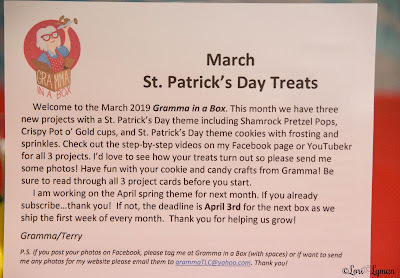 At the Fence: March Gramma in a Box!! I am really sold on the Gramma in a Box subscription boxes. They are so much fun and perfect for doing together as a family, for a grandmother with her grandchildren, or even a dad with his children. Each box comes with just about everything you need for the project. I did have to use my microwave, a microwave safe bowl and a spoon and butter knife. 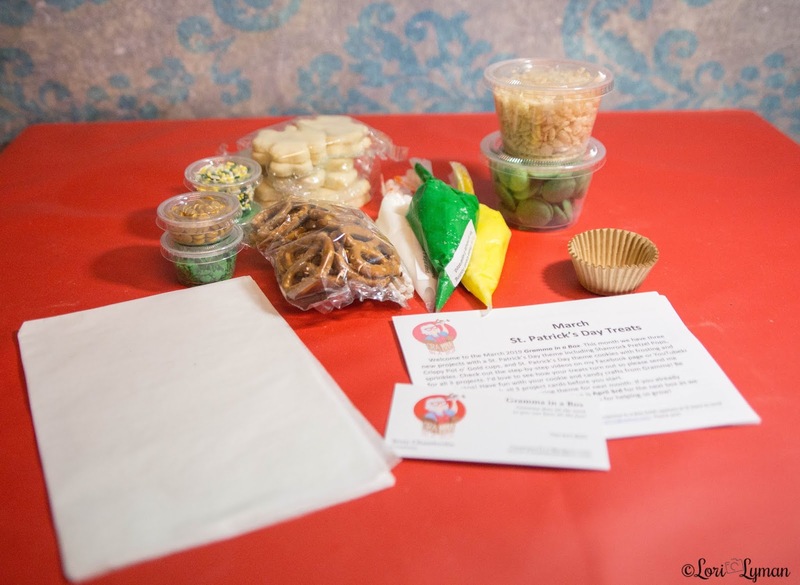 The treats come prepackaged in the correct amounts. I have never run short on something needed for a project. Gramma in a Box by Terry Chamberlain is a wonderful gift idea for grandparents to do with grandchildren. You could even send one to them and one to yourself and do them together with FaceTime or it's equivalent if you live too far away. 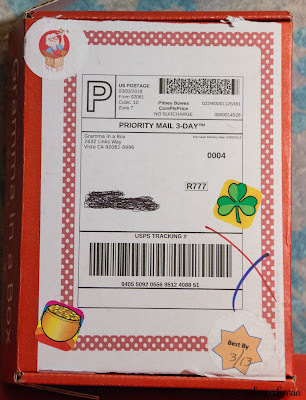 The package comes in a nice box with stickers on the outside. When you open the box a Gramma sticker is holding the tissue paper closed. 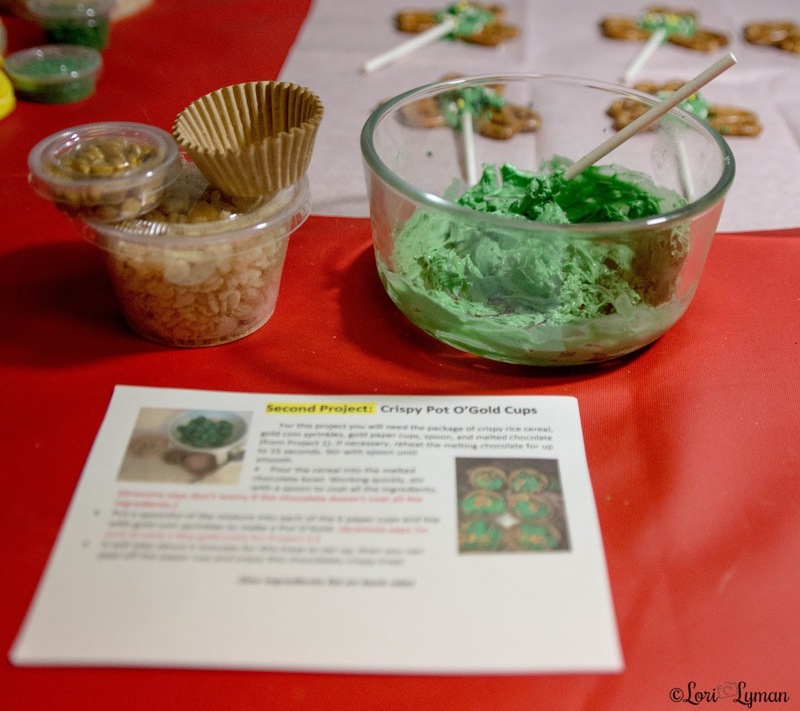 Inside you will find everything you need to create at least 3 different treats! 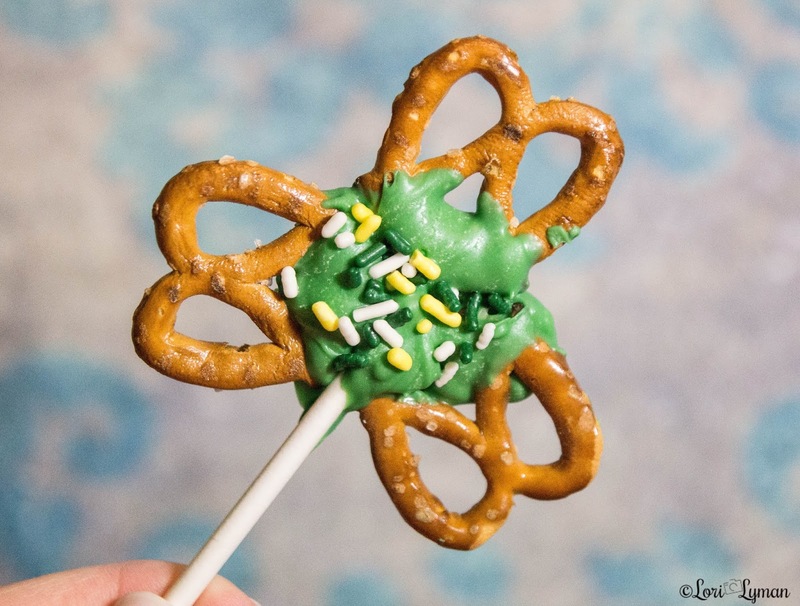 This month we made some cute 3 leaf clovers out of pretzels, melted chocolates, green of course, and lollipop sticks and sprinkles. 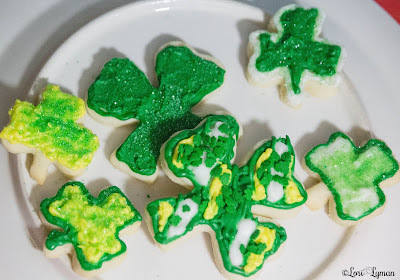 These were so easy to make. Simply microwave your chocolates in a bowl, dip the end of the pretzel I the melted chocolate, place three of them together and add the stick. 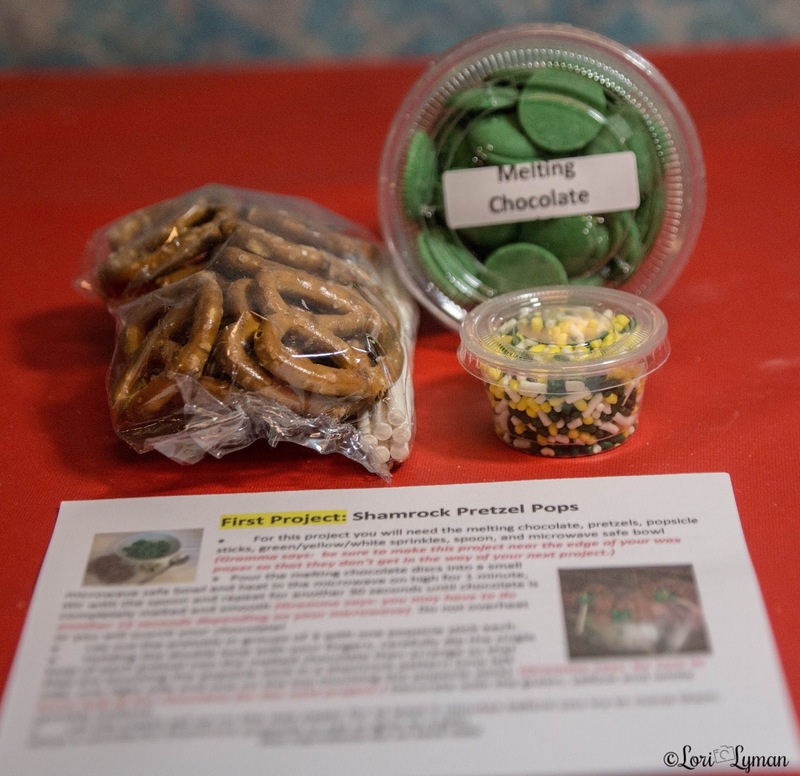 We made them on the wax paper which also comes in the box and laid them out to harden. Our next project was little pots of gold. You mixed the leftover melted chocolates with the container of rice crispy cereal and stir well. 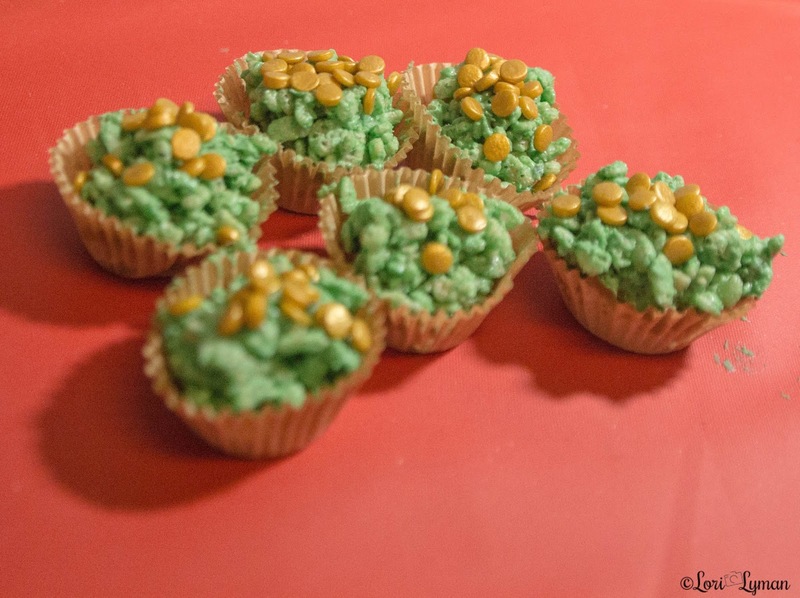 Place small amounts of the covered cereal in the little cupcake papers that were included in the kit and then lightly place the gold coin candy on top. Allow them to harden. 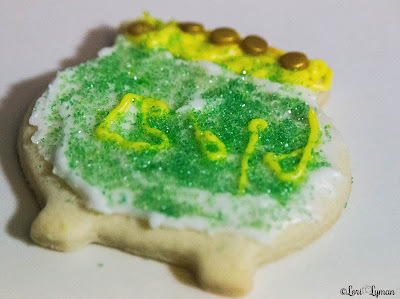 The last project is decorating cookies. This is one of our favorites. 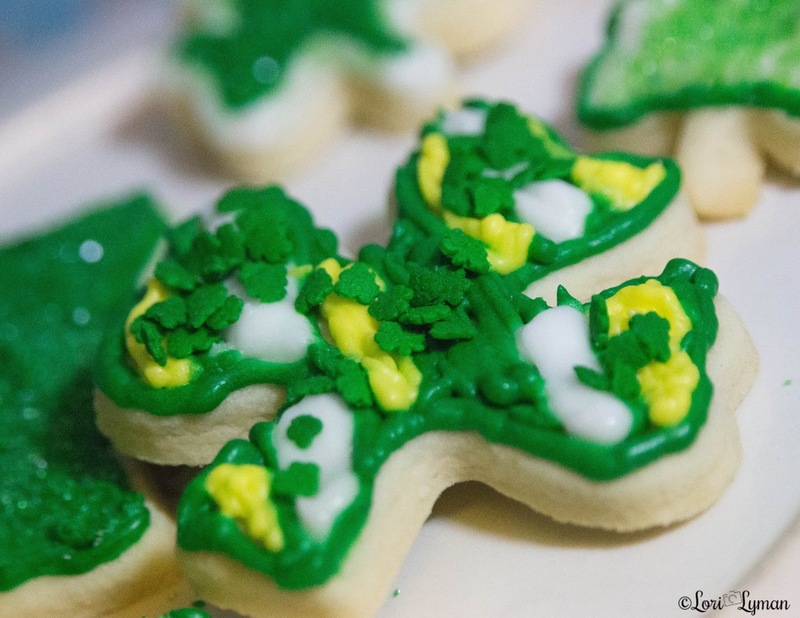 We received several clover cookies as well as cookies shaped like pots (of gold). Gramma included three bags of icing. 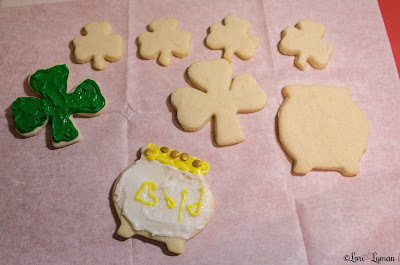 We had one green, one gold and a white. You simply clip the tipoffs the bag and then squeeze to decorate your cookies. 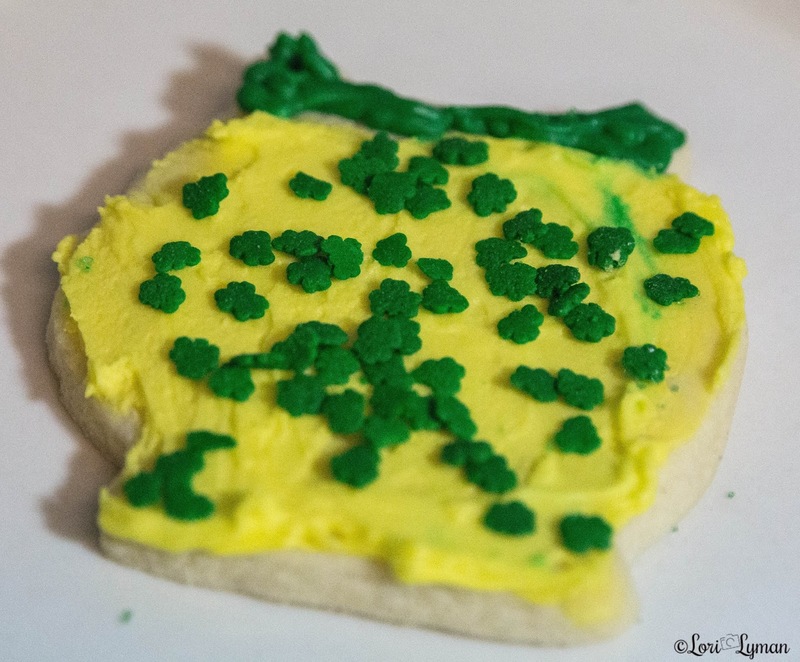 The cookies also come with sprinkle and of course you can use any leftovers from your previous projects. Each box from Gramma comes with a list of the projects and all the items you will find in the box. 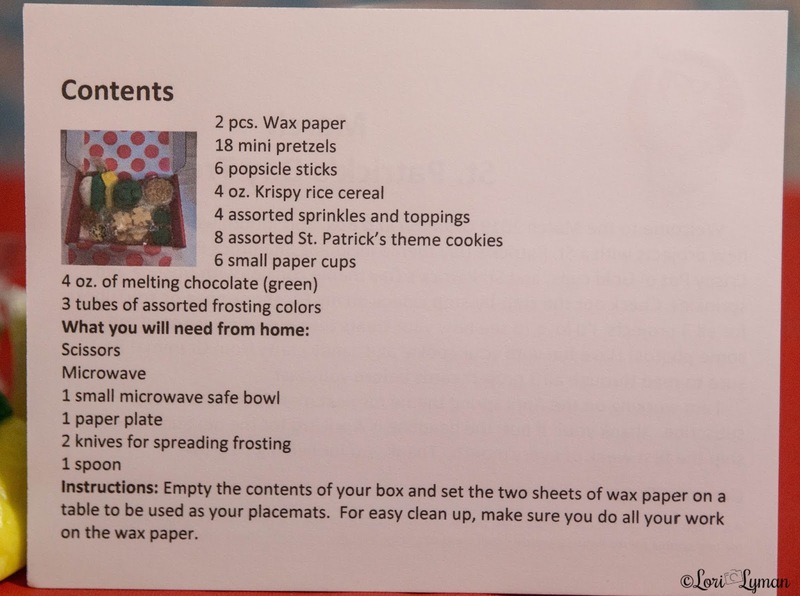 There are three project cards that instruct you how to make the treats and included with the list of ingredients are allergy warnings. 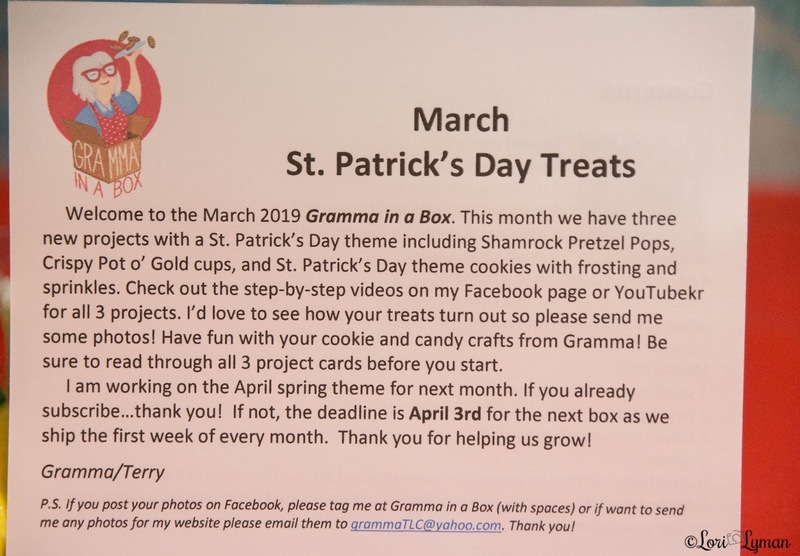 If you are interested in ordering from Gramma in a Box, she is presently preparing the April box and is sharing some videos both on Youtube and Facebook about what will be included. 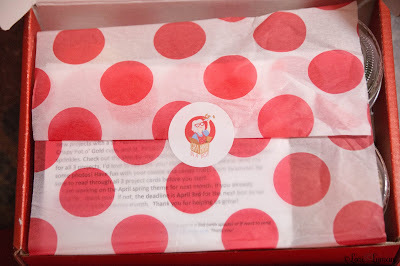 To receive April's box, you will need to subscribe by April 3rd. And, Gramma always loves to see your finished projects, so you can share pictures with her on Facebook - HERE. You can also find Gramma in a Box on Instagram - HERE. If you decide to, you can subscribe with an auto debit program for only $20 per month…and the first box is only $10. Gramma, Terry, has several other options for subscribing. Terry, from Gramma in a Box is allowing us to host a giveaway of one box. Hurry up and enter! Thanks for stopping by everyone! Anything to do with baking my kids love to get in the kitchen and make desserts. The little pots of gold look so cute! My daughter would enjoy making them. I love the pretzel clovers! My grand kids would have so much fun with this! This looks like fun. Thank you for the information and the giveaway! My granddaughter Loves to bake! 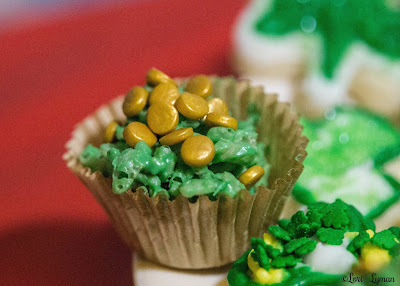 I think those little pots of gold look so yummy and fun to make!! We love rice crispy treats and these would be perfect for March!! I love the pretzel pops! 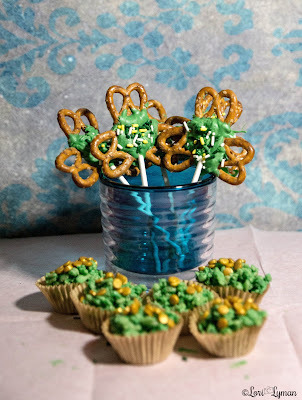 they are super cute, with my daughter having a St. Patty's day birthday they are a great idea for next year! This looks like so much fun! My kids would love making these treats. the little pots of gold's look so fun!! 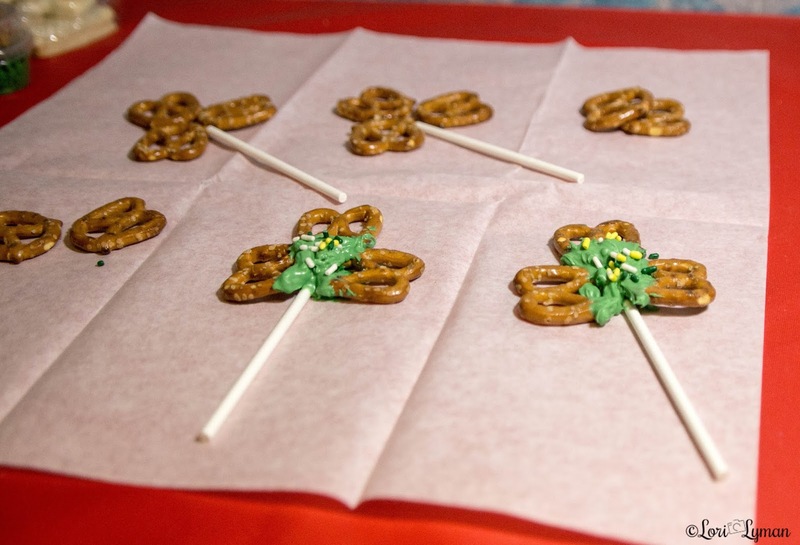 The pretzel clovers are too cute! Love this. So fun. Thank you for sharing. We love pretzels so the clovers would be my first choice! Yum! !